By juxtaposing first world problems faced by most Singaporeans with the aspirations of the poor, Caritas Singapore and a coalition of partners have created a thought-provoking campaign to publicize the presence of poverty in Singapore. The objective of which is to convince affluent Singaporeans that there is a large number of individuals struggling to make ends meet. “Despite Singapore having the highest average per capita income of $52,305 a year, 387,000 Singaporeans earn an average income of $1,500, which is barely enough to cover basic necessities,” the group argues. Singaporeans Against Poverty campaign had a brainchild dare named “The $5 challenge”, which was kick started by Singapore's top radio personalities. It saw many Singaporeans taking up the challenge to live on $5 a day and sharing their experiences on various social media platforms. As a result, their friends were exposed to the campaign as well. According to the Department of Statistics, 105,000 families in Singapore are earning on average $1,500 per month. This means that life is a daily struggle for some 387,000 Singapore citizens and permanent residents. After paying utilities, schooling, housing rental or loan instalments and medicals, they are left with about $5 a day for food and transport per family member. How do they do it? Can they? How does it feel to be their shoes? Whatever you think or feel, suspend your disbelief or judgement and find out for yourself! Anyone who decided to take the challenge should make a pledge at sgagainstpoverty.org, live with it and SHARE IT by recording the EXPERIENCE AND SHARE IN JOURNAL . Thus far, the Campaign’s Facebook page has been growing steadily in numbers. As of the start of September 2014, it has more than 8,000 followers. The representative noted that the issue of poverty became a hot topic for discussion in the local press and was debated in parliament since it was launched. It even got written about on BBC. On a micro level, many bloggers took the debate online which spurred many fellow Singaporeans to participate in the discussion as well. 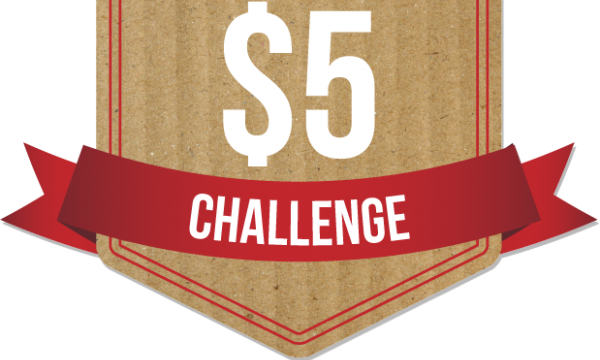 Singaporeans Against Poverty campaign's $5 dollar challenge. Singaporeans Against Poverty campaign of Caritas Singapore and a coalition of partners with Goodfellas, the creative agency of this campaign features striking ads to convince affluent Singaporeans that there is a large number of individuals struggling to make ends meet.